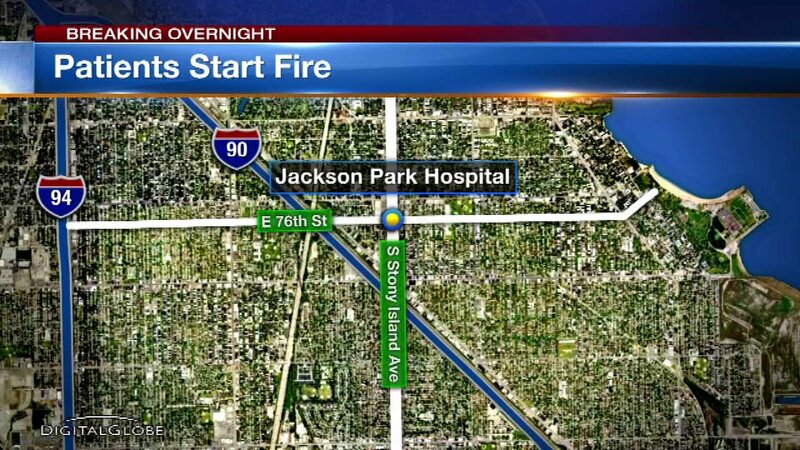 CHICAGO (WLS) -- Two patients at Jackson Park Hospital started a fire Thursday night, Chicago police said. The fire occurred at about 10:44 p.m. at the hospital in the 7500-block of South Stony Island Avenue in the South Shore neighborhood, police said. Security video showed two patients at the hospital starting the fire on the fourth floor, police said. The fire was contained to the room and no injuries were reported. The suspects were taken into custody and charges are pending, police said.